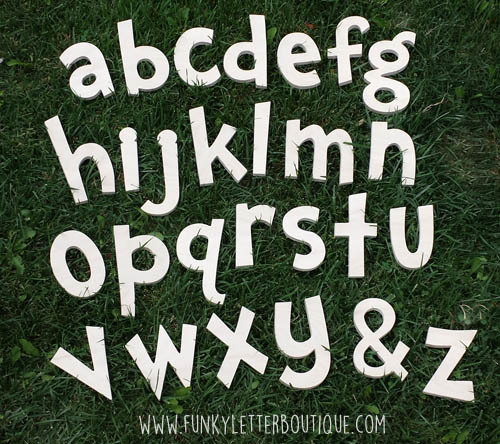 These Dr. Seuss inspired alphabet letters are perfect to finish a playroom, nursery or even a classroom! The letters come unfinished so you can paint them, add scrapbook paper, fabric, mod podge, glitter, buttons, embellishments, or anything else you can think of! The set comes with the alphabet a-z (they come in lower case format) and ampersand sign (&). Letters are cut from 1/4" or 1/2" thick wood and come in small (5"-7") or large (10"-12") letters.